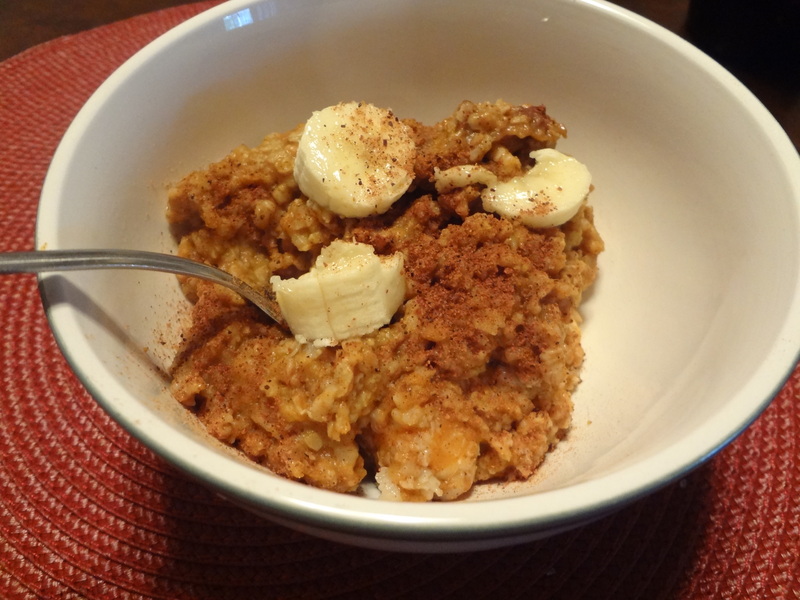 Oatmeal and bananas are like a runners “crack”…Not a day goes by where I don’t think of the two and how I can combine them and what I can add to oatmeal is truly endless. 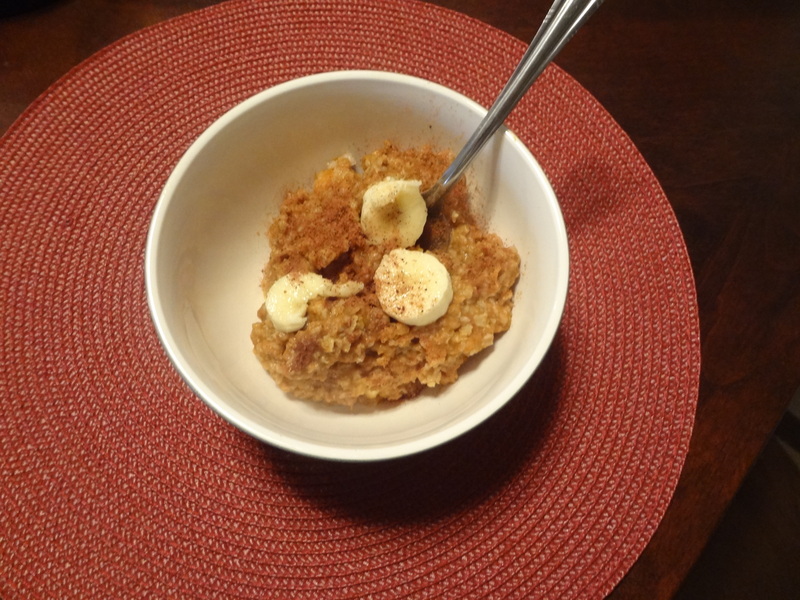 I did a little exploring while taking a grad work procrastination break and I wanted to share with you the BEST oatmeal recipe ever…adapted from the BEST BLOG EVER...Peanut Butter Fingers… If you are in a pumpkin mood, go for this. How do YOU take your oatmeal?? ?